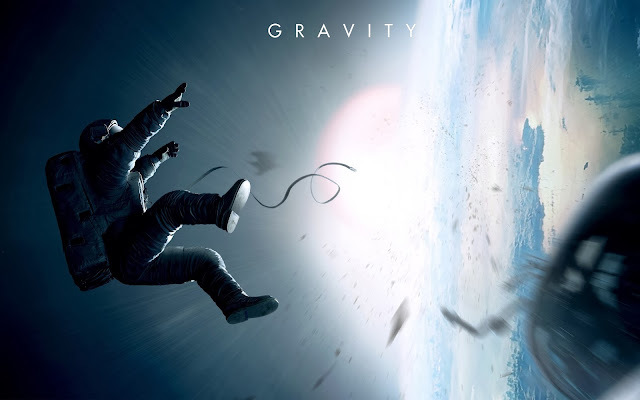 Gravity, it has to be said, is not a bad film by any stretch of the imagination. Visually, it is rather stunning – critics who have fallen over themselves to proclaim the technological advancements made in Alfonso Cuaron’s feature are correct in their proclamation that the aesthetics on display here are beyond compare. A lingering, static shot as the movie commences of Matt Kowalsky (George Clooney) flying toward the camera, from a barely legible speck on the horizon emerging as a fully formed three dimensional character leaving a void of infinite nothingness behind, is as graceful as it is unprecedented in its actualisation. Yet, despite this, Cuaron’s film often feels as empty as space itself – there seems to be little reason for this movie to exist other than to demonstrate new special effects. As a show reel of technological achievements, Gravity is an admirable endeavour (a la Kim Ji-Woon’s recent The X). Measured against the standards of mainstream cinema, however, Gravity suffers. Comparisons with 2001: A Space Odyssey and Moon are even wider of the mark – Cuaron’s film often feels like Armageddon with less reason to care for the fate of its characters. Sandra Bullock stars as Ryan Stone - a woman who, if she existed in real life, would undoubtedly fail the elongated process all NASA candidates must pass in order to qualify for its programme. Her primary role in the film is to gulp, gobble, hyperventilate and panic as she tries to navigate her way back to earth in a series of vessels which crash, fail and explode at inopportune moments in a series of slickly created action set-pieces. Her neurosis, we learn, stems not only from her fight with death in outer space, but an earth bound tragedy which casts her into faux philosophical existential crisis. It’s the attempt to shoehorn character development into a role which has little-to-no character which proves the film’s weakest element – as a solitary tear flies off the screen and toward the audience (thanks to 3D), Gravity seems closer in tone to Anchorman 2 than it does a film by Stanley Kubrick. The single most stressful two hours you can have in a movie theatre - in the best possible way. That is probably one of the best acted, most visually stunning adventure films ever.